Essential oils are great for skin,hair face & lips. They have great benefits.They help control frizz, enhance shine and relive dry scalp. Help seal in moisture, leaving soft skin. heals skin, dry skin. It can even help with wrinkles and stretch marks. One thing you should be aware of is NATURAL essential oils. There are knock offs so you should be cautious. 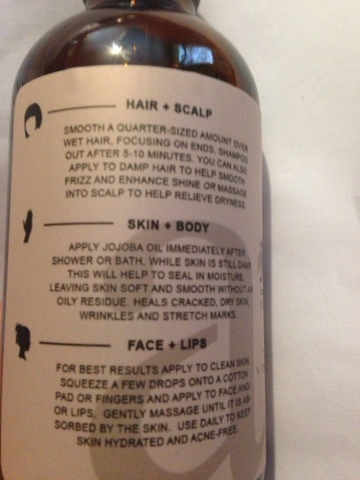 JoJoba Oil- It's an additive in cosmetic products. It's used in lotions and moisturizers, shampoos & conditioners. The oil itself can be used on skin,hair as well as cuticles. 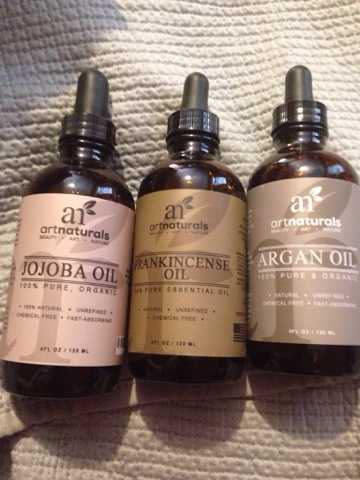 #artnaturals has the oil in 4fl oz / 120ml. The oil is a fungicide and can help control mildew. Art Naturals JoJoba Oil comes with a dropper top. It is scent free. I have been using this for my hair. MY scalp has been moistened and soft. No longer dry and my hair does not look lifeless. I'm quite happy with the results. Argan Oil-Is high in Antioxidants, essential fatty acids & vitamin E, Argan oil helps revitalize skin, restore lifeless hair , UV-Protector. it has been known to help reduce the appearance, of wrinkles. Art naturals have the oil in 4fl oz/120ml. The oil is odorless and 100% pure organic cold pressed argan oil from morocco. It can be used for Arthritis and rheumatoid arthritis it can inhibit the production of key inflammatory. Preventing the breakdown of cartilage tissue that causes the conditions. Uterine health- Frankincense oil helps regulate estrogen production in women and reduces post-menopause tumor or cyst formation in the uterus. It also regulates the menstrual cycle of premenopausal women. Effects and benefits of the oil can be acquired applying topically inhaling it using a diffuser or vaporizer ingesting small amounts. for pain relief massaging oil on affected areas also can be added to bathwater for a rejuvenating soak.